dhealth Dentistry is a dentist near Hawthorn committed to providing a revolutionary, holistic approach to dentistry. We have over 35 years of experience in general and cosmetic dentistry and we offer everything from orthodontic to children’s dentistry. Our holistic approach considers everything from your lifestyle to your medical history to ensure your dental treatment offers more than just a quick fix. We use advanced technology and bio-compatible materials to provide dental treatments that are centred around avoiding the pain and stress that so many people associate with a trip to the dentist. Gum disease can range from minor inflammation through to severe periodontitis that causes severe tissue and bone loss. 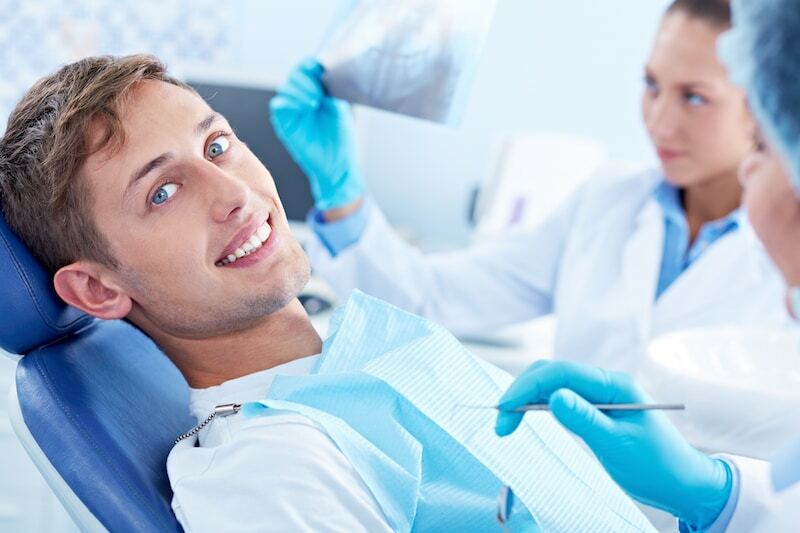 Our gum disease treatments and laser dentistry can save your gums, your teeth and your overall dental health if you get along to us quickly enough. Information that is clear, easy-to-understand and unbiased, so patients can make decisions themselves and take control over the dental health. dhealth Dentistry loves empowering our patients and we do this by providing advice on what they need instead of suggesting treatments that are unnecessary. Effective and fast-acting dental care that addresses problems without causing unnecessary pain. To achieve this dhealth Dentistry uses the latest solutions and technologies, such as no film x-rays, non-bis GMA composites, high-strength ceramics and laser treatments. A central location that is easily accessible. The location of our clinic makes it very easy for residents of Hawthorn & Glenferrie Road, along with surrounding suburbs to get along and see their dentist as much as they need to. Providing affordable dental care with lasting results. The quality of dhealth’s treatments means that you can rely on your treatment to last and not cause any future problems.